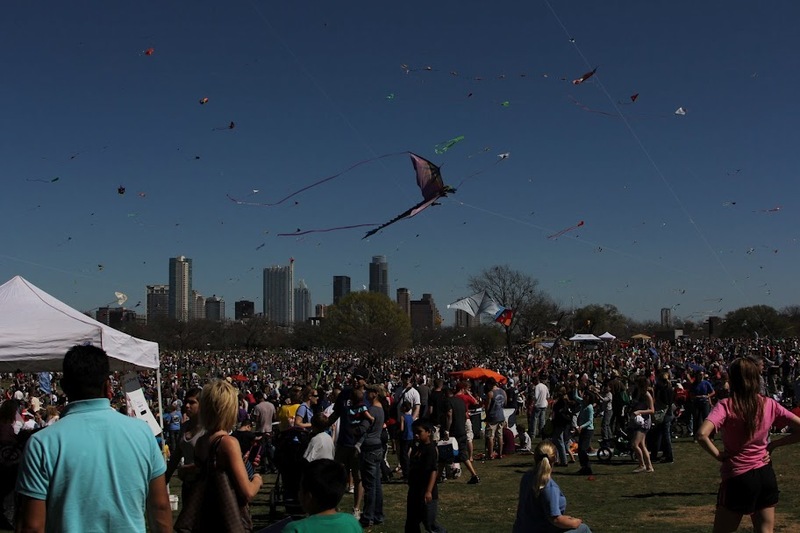 I’m hoping for a windy day — because this Sunday, March 1st is the 87th annual Zilker Kite Festival! 1.) Go early. Very early! 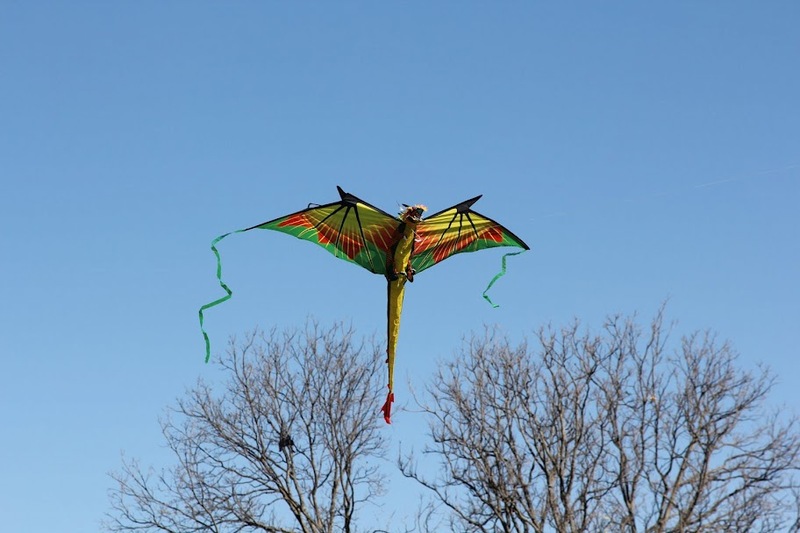 The festival doesn’t “officially” begin until 10am, but in our experience if you arrive at 9, you can often park AT or NEAR Zilker Park, and walk to the kite fields. There is plenty of room to run and get your kite into the air this early (and that’s pretty much over once the shuttles begin to arrive). 2.) Bring a kite! You *can* build one or buy one on site, but you’ll find a much better deal elsewhere. The kite-building stations won’t open until the festival does, and that kind of defeats the purpose of tip #1. Our kite is from Costco, has survived three festivals so far, and was only $12! In addition to dragons, Costco carries butterflies and space shuttles. And they’re all HUGE! 3.) Bring a backpack! If it happens to be one you can carry your kid in, all the better. Space gets tight, so it can get hard to maneuver a stroller or wagon. If you’re successful at getting your kite into the air, you’ll be darting around trying to avoid other flyers and their strings. You WILL find yourself removed from your starting point, and it can be tough to find your gear in the crowd. 4.) Bring a blanket! You’ll want to roost and rest at some point, and maybe even have a little picnic lunch. 5.) Bring snacks, and water… that you can fit into your backpack! Large coolers are not allowed on the shuttle. And who wants to drag that around all day? There are food vendors and ATMs on site, but prepare for a line. 6.) Bring cash! There are bouncy-castles and slides and such for the little ones. You will need to purchase tickets. The best time to do this is *right* when they open up at 10am. But you arrived early, so you’ve already been flying your kite for an hour at this point, and are ready for a break, right? 7.) Bring a hoodie. AND sunscreen! The morning starts off cool, but brightens up quickly. 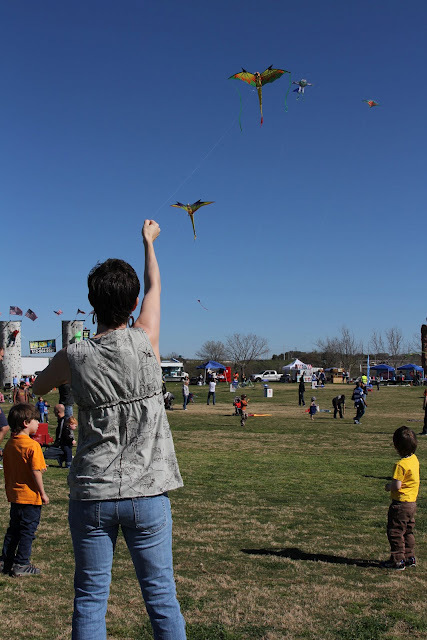 It seems that our first sunburns of the year happen consistently at the Zilker Kite Festival. I hope to bump into you there! This entry was posted in Around Austin and tagged 2014, Austin Events, Austin Festivals, austin texas, meter, Ms Kat's Music and Movement, music, music and movement, original, original music, postponed, Pro-Tips, rain-date, rhythm, South By Southwest, SXSW, Wind, Zilker Kite Festival, Zilker Park. Bookmark the permalink.